Moniteur de surf mais aussi photographe de surf professionnel: C’est les yeux d’Aloha!!! Surf instructor but also professional surf photographer: He's Aloha's eyes!!! His favourite target: children, he makes them discover the ocean and the joys of sliding on the water while playing and having fun. The "Number one" of the team!!! 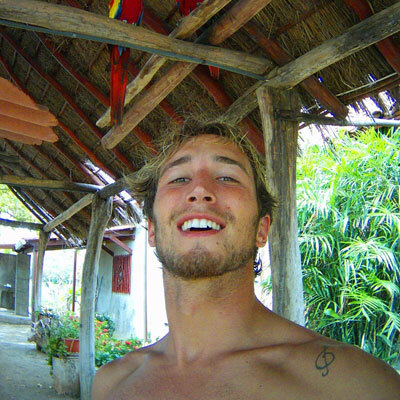 He’s been with Aloha for 4 years, always available, with wise and personalized advice, Lucas is a lover of the ocean. He will make it a point of honour to make you as autonomous as possible in the water so that you have the maximum pleasure in the waves. 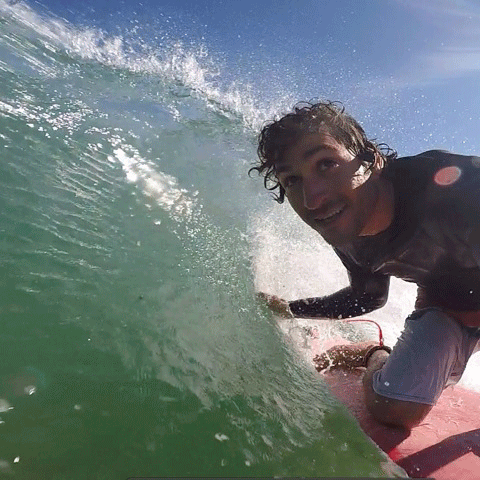 Tanguy: Surfing globe and future physiotherapist. Between studies and trips on the most beautiful waves of the planet surfing, he will be with you in the water to share his passion with you. And if you ask him nicely he can give you a little massage after the session!!!! Surf instructor and ski instructor. JP validated last year successfully his pedagogical internship. It is therefore diploma in his pocket that he joins the Aloha team this year. 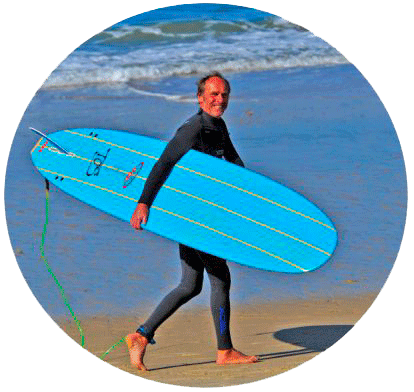 Pascal is the creator of Aloha, an experienced teacher and surfer, he will be able to give you wise advice to help you progress. Whether it is to accompany the first fathoms of the youngest or to perfect the technique of the older ones, Alexis is in charge of you! The Aloha surf school was one of the first 5 surf schools in France to obtain the Qualité Tourisme™ award for 3 years in 2013. This award was created by the state to improve the quality of tourist services in France. It selects and brings together under the same symbol the quality approaches undertaken to satisfy customers. This allowed us to reflect on how to better welcome you, to optimize our supervision during the activity as well as the space where we receive you. To obtain the Qualité Tourisme™ award, one must successfully follow a quality approach that complies with the essential requirements of satisfaction. Our services are regularly subject to unannounced and independent controls. We competed and obtained the Qualité Tourisme™ award again in 2016. We therefore continue to do everything we can to ensure that you enjoy your stay at the ALOHA cabin. build for two months on the beach Bourdaines in Seignosse ..
Pascal (who is also the founder of the Aloha surf school). Surf off course, but also the environment and the values ​​of this activity. 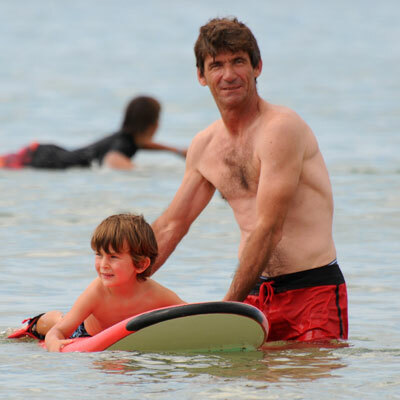 14 years after, The Aloha Surf School is open from Easter to Thanksgiving holiday , and we are always present on the beach from April to September . A heated pool was grafted to the hut to learn to swim to the smallest . The team now consists of Pascal Adrot with three surf instructors , a lifeguard life guard and a receptionist .